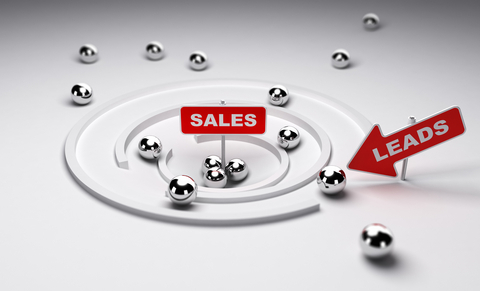 Are Your Sales Follow-Ups Being Avoided? Are Your Follow-Ups Being Avoided? I’ve provided sales training for a lot of Sales People who primarily use telephone activity over the years and I’ve been fortunate to observe, coach and work with many in their own environments. As a result, I’m pretty sure I can tell you why your conversion rate is so low and why you find it so difficult to get back in touch with people after your initial contact. The key to improving your conversion rate, gaining more control over your time and spending it in the right places, is quite simple. It lies very, very early on in your sales process and is probably something you find yourself doing every day. It’s how you handle information requests. This is never usually a good idea. You’re probably ‘selling’ too early and this can be a big turn off for potential customers. You need to steer yourself a million miles away from ‘cheesy’ sales approaches and focus on your customer. Relationship-centric selling is the name of the game and one-way conversations where you’re pitched at don’t tend to encourage people to warm to you, open up and volunteer valuable information. Base your conversation on ‘What’s In It For Them’, enabling you to take a keen interest in, and explore your prospects current circumstances, systems, challenges, processes or suitability for your product or service. Remember, if you’re doing more than 30% of the talking on this call there is most likely something wrong. Good conversations are formed by good questions, and good conversations create good relationships which in turn build good businesses. My advice is to start thinking of some killer questions to help you open people up and instigate high-level conversations that will ultimately give you more information, earlier, so you can better identify how good your opportunity may, or may not be before obliging information requests. Good questions are a pleasure to answer. Day in and day out I see this. Sales People are fobbed off with information requests that they then mark down as ‘leads’ to follow up. Unless you’ve been thorough, qualified that interest, pinpointed the specific reason they’ve asked for it or the answers they’re hoping to find in it, you could be heading fast towards trouble. The thing is, the second you send your prospect the generic information pack that you attach to your standard e-mails, without qualifying what, or where their specific interest is; you’ve likely lost control of your Sales Process and have probably sent them far too much of the wrong thing. We’re conditioned to do this though– it’s polite, obedient and we’re there to provide a service. But you’re now chasing for feedback on a load of generic information that probably didn’t hit the mark. Especially if you asked if you could send it in the first places as opposed to being asked for the information by your Prospect. Would you take time out of your day to explain that to a Sales Person? No. You wouldn’t, you’re too busy, time is your most valuable commodity and this is where it starts. You call back to be told they have your bits but they simply haven’t had time to read them. So begins the weekly chasing cycle and the prospect becomes harder and harder to reach. The crazy part is, we still don’t know how good this opportunity is or what its likelihood of closure is. While you have the chance you need to be exploring your prospects needs, potential fit, suitability, current solution, existing challenges, current processes or other factors that could impact your likelihood of making a sale either way. Fundamentally, it’s simply qualifying a need or an interest a step or two further. Your pipeline becomes more like a pipe dream because it’s so inaccurate and inflated by hope and optimism, that the reality is you’ve no idea which of those ‘leads’ are likely to convert. It really is just potluck as to what moves onto the next stage. Think about the effect all that time you spend chasing dead end ‘leads’ would have if it were re-channeled toward better-qualified opportunities with a far higher chance of closure. With that in mind, my question to you is this. Could you be doing a better job of qualifying out more of these Prospects first time around? If there is a genuine level of interest there you’ll most likely get good answers to questions like these and the conversation will likely progress a little further. If there’s not and you’re being fobbed off, the other party is likely to find it more difficult to provide reasonable answers. Use your judgment, or ‘Salesman’s Paranoia’ as I like to call it, wisely. In my years in this space I’ve always struggled to understand why so many of us seem to use a ‘couple of weeks’ as a standard timeframe for following up on calls. I mean come on; what can you have possibly sent that will take them a fortnight to read? And furthermore, what on earth does ‘I’ll give you a call in the next couple of weeks’ even mean? Hardly shows the importance you place on the matter. It’s just too ambiguous. Schedule a follow-up call like you would a sales meeting. It will help you gauge how interested your Prospect is in speaking with you again and shows you’re a professional. I’d recommend suggesting 24-48 hours after first contact because you can mark my words, if your Prospect needs longer, they’ll tell you there and then, in which case they can guide you as to when is best to call back. (I appreciate acceptable timeframes can vary from process to process). If 24-48 hours is ok with them, you’re not going to be unnecessarily elongating your own sales process and they’ll be expecting your call. If your customer is really interested they’ll almost inevitably pay the matter attention sooner rather than later. If not, this will start to drag on and on as your customer keeps putting it off. Make sure you schedule follow-up calls properly and don’t wait too long before you agree to get back in touch. Try to set a reasonable pace for proceedings because if it can wait 2 weeks now, you could well struggle to create urgency when you want a decision later. Also, if you send something that really works for your Prospect you want to move them through your process quickly, whilst you have the best chance of success and before that peak of interest starts to cool off. Think very hard about the key questions you use when handling enquiries. It doesn’t matter if you’re inbound or outbound, information requests must be qualified effectively if you want to be a top performer. For your own benefit, before you make your next call, think about how you will handle this situation when it next arises because at the very least it will help you to set your own expectations of the opportunity and decide how much time and resource should go into chasing it. As any seasoned Pro will tell you. Closing is not important. It’s the questions you ask at the beginning that matter the most. Don’t risk it. Ask when you’ve got the chance. Pete Stuckey Training & Consultancy provide first class Sales Training, LinkedIn Training for Sales People & Sales Outsourcing Solutions.